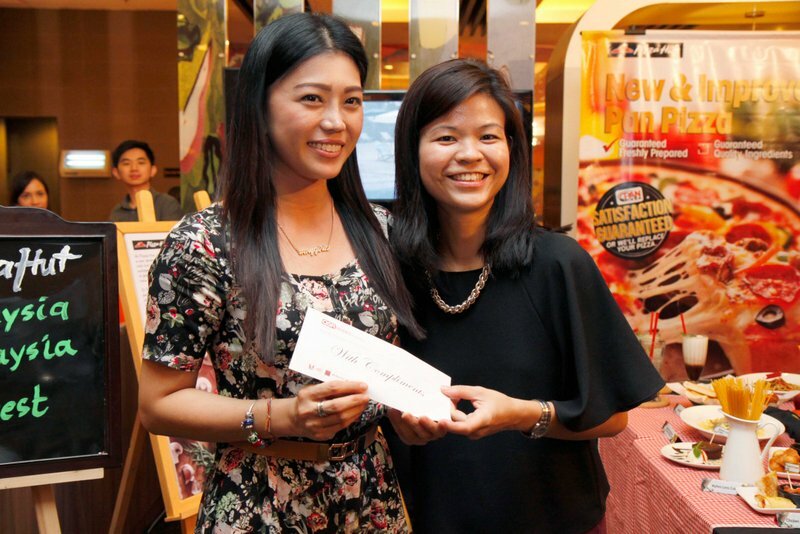 Pizza Hut Malaysia is committed to being at the top of their game as the choicest pizza place, with their pledge to serve the new and improved Pan Pizzas with a satisfaction guarantee. Pizza Hut’s Pan Pizza, is now guaranteed to be freshly prepared, have only the best in quality ingredients and have a great taste. It also comes with a satisfaction guarantee, so if you’re not satisfied with the taste, they would gladly replace it with another, for free. “As the brand progresses, we need to keep introducing new pizzas to be relevant to our customers. 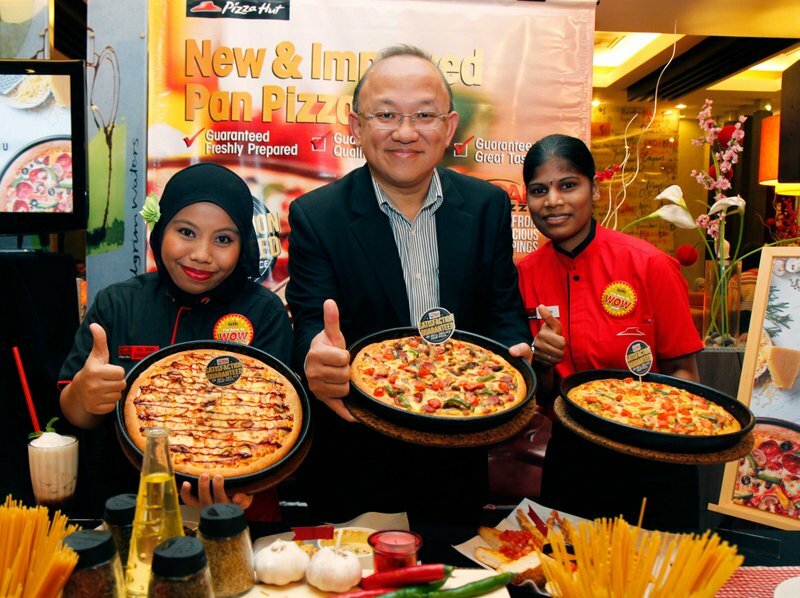 As such we decided to renew our commitment to our beloved customers by making our Pan Pizzas taste even better by adding fresher and chunkier toppings,” said Low Kang Moon, Senior General Manager, Pizza Hut Malaysia. “The exploration of different pizza experiences has inspired our team to come up with many flavourful ideas. Our renewed commitment to make our Pan Pizzas even better includes the freshness of the crust, perfecting our blend of tomatoes, herbs, spices and oils for the special pizza sauce, and discovering more incredibly flavourful, fresh, and healthy toppings for our pizzas,” he said. Customers can now choose from 16 delicious toppings including the all-time favourite Super Supreme. Three brand new pizzas are also being introduced which are the Meat Lover’s Pesto, Pesto Chicken and BBQ Chicken. In addition to the new and improved Pan Pizzas, Pizza Hut is also introducing 18 new items which include an array of appetizers, pastas, rice, beverages and desserts. In line with the new promotion, a contest will be held from 12 August 2014 to 10 September 2014, offering irresistible prizes such as RM1,000.00 cash daily and a grand prize worth RM10,000.00 cash. To participate, customers will have to obtain a minimum purchase of RM30.00 (one entry per receipt) that must include any Pan Pizza product. Participants are required to submit their entries via WhatsApp (using a mobile device) or through regular mail. Even more great news is that, Pizza Hut is giving out more than 33,000 free slices of pizza (100 slices of pizza per restaurant) on 14 August 2014 from 12.00 pm to 12.30 pm. Be sure to mark your calendar and standby at a Pizza Hut restaurant near you! This entry was posted in News by TheGoodGoodGuy. Bookmark the permalink.